Portugal is blessed with world-class surf all along its stunning coastline. From the sunny Algarve (Amoreira, Lagos, Bordeira, Vale Figueiras), through Lisbon and Peniche all the way north of Oporto. Best surf camps in Portugal for adults and Teens, offer lessons, surf guiding & cultural tours. Clean beaches, crystal clear water and natural reserves. Historical sites and unbelievably delicious food to make your surf adventure unforgettable. 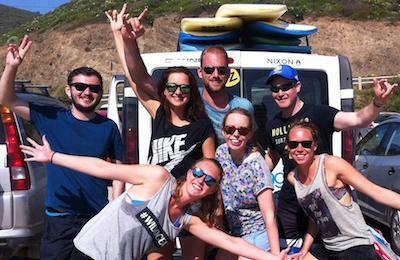 Algarve Surf School - Lagos, Algarve Guests overall rating: ★★★★★ 5 based on 2 reviews. 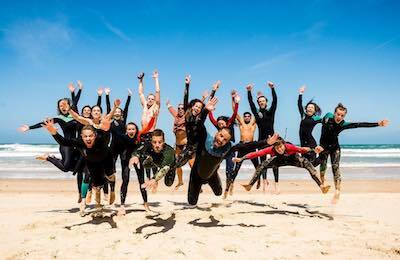 Algarve Surf School is the best option for your summer in the Algarve, surf with the locals in a fun and safe environment, we proudly welcome all surf levels with passion and dedication. The Surf School is owned and operated by surfers. Our Meeting point is at Lagos, a beautiful and sunny town in the South of Portugal. Best waves conditions of Europe the surf spots attract many visitors the whole year, but even on busy summer days, you can find uncrowded secret spots. 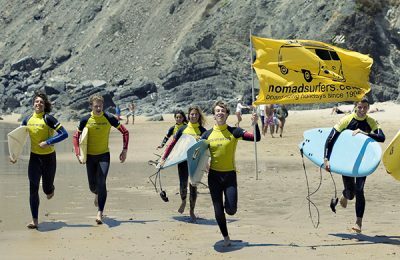 Nomad Summer Surf Camp - Teens, Algarve Guests overall rating: ★★★★★ 4.8 based on 34 reviews. The best waves in Europe during summer! Our Nomad Teens Summer Surfcamp Portugal is especially for Children/ Teens from 12 to 18 years old. Dates available from 21st of June until the end of July. Optional English, Spanish and Portuguese Language courses. 24 hours supervision, Professional surf coaching, plenty of activities, prizes, gifts and lots of fun. We pick up at Faro, Sevilla, and Lisbon. Algarve Surf Camp - Vale Figueiras, Algarve Guests overall rating: ★★★★☆ 4.2 based on 64 reviews. Come and enjoy 8 days SurfCamp in Algarve! 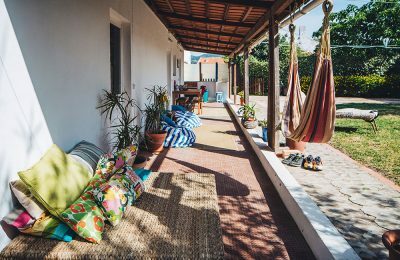 Nomad Surf Camp in Portugal for adults offers you unforgettable Surfing holidays sleeping in comfortable double, triple or shared rooms with common or private bathrooms. Surf Guiding to discover the best surf spots in the area. Surf courses to learn to surf and Yoga classes overlooking nature. Our guests range from total beginners to experienced surfers. The Surf Guides and instructors will drive you in minivans and 4x4s in search for the beach with the best conditions of the day. Non-surfers also welcome! Where clients become friends. 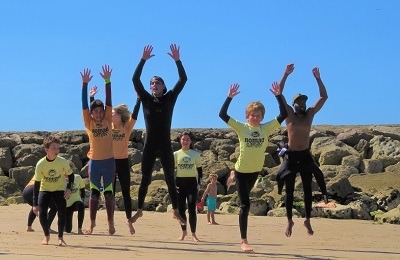 Lisbon Surf Camp & Surf School - Cascais, Lisbon Estoril Coast Guests overall rating: ★★★★☆ 4.1 based on 7 reviews. The Lisbon Surf Camp Cascais is dedicated to teach surfing to all levels (beginner, intermediate and advanced) and has surf offers for all occasions and due to the mobile surf school the can can do customize surf trips to get you the best surf and waves along the marvelous Coast of Estoril - a surf school for beginners, a guided surf tours for advanced surf travelers who wants to discover Lisbon’s amazing waves or the weekend package for spontaneous excape adventures. 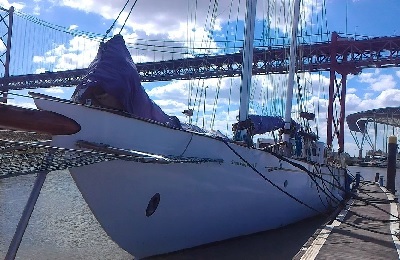 All options are with accommodation and full boarding available. The sights and delights of Portugal’s capital are a short drive away and can perfectly be enjoyed in the evening after a day at the beach! 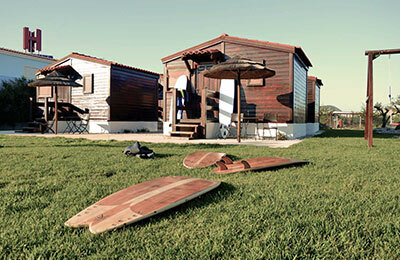 Raposeira Surf Camp - Raposeira, Algarve Guests overall rating: ★★★★★ 5 based on 2 reviews. One of the best surf camps in Portugal. 5 minutes to the night life of Sagres or Lagos after a day at the beach. Surf school in Amado beach. Horses to ride. Surf camps for all surfing levels, from beginners, intermediate to advanced. Super cool surf teachers will make sure you reach your surf goals and have a time of your life at the same time! Matosinhos Surf Camp - Porto city, Porto, Northern Guests overall rating: ★★★★★ 5 based on 4 reviews. Baleal Surf House - Leiria, Peniche Guests overall rating: ★★★★★ 5 based on 4 reviews. Arrifana Beach Surf House - Aljezur, Faro Guests overall rating: ☆☆☆☆☆ 0 based on 0 reviews. 7 Days Schooner Surf Hotel - Costa da Caparica, Lisbon Guests overall rating: ☆☆☆☆☆ 0 based on 0 reviews. 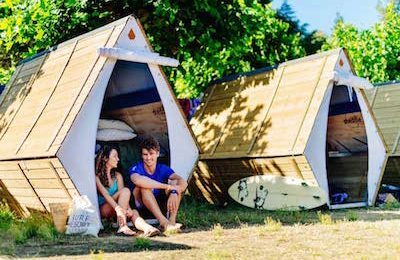 Vila Praia de Âncora Beach Surf Camp - Viana do Castelo, OPorto Guests overall rating: ☆☆☆☆☆ 0 based on 0 reviews. 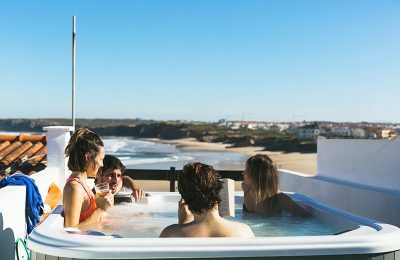 Ancora Beach Surf Camp is located in the North of Portugal in Vila Praia de Âncora, a small town with a nice beach, a good gastronomy and natural places to enjoy. Our accommodation service consists of a Surf Camp (Villa) located in a nice neighborhood. It has 4 rooms with private an shared accommodations, 2 bathrooms, a fully equipped kitchen, a large living area and an outside garden with a lot of green spaces to relax. 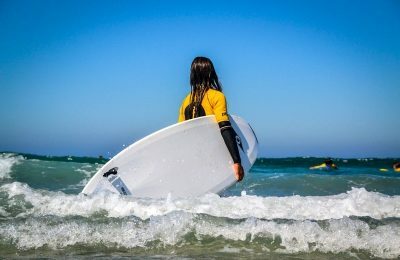 Our Surf services are promoted by a Surf School located in front of the beach where you can have Surf lessons based on your Surf level and also rent Surf material. South Beach great location Surf Camp - Ericeira, Mafra Guests overall rating: ☆☆☆☆☆ 0 based on 0 reviews. Winner of Trip Advisor's Certificate of Excellence, South Beach Surf Camp is well-known for exceptional service and unforgettable experiences. We sit in one of the few secluded properties in Ericeira. Right next to it, the community garden and a picnic park give it a feel of being surrounded by nature and sea, within minutes you can reach different beaches or pop down the town centre. Besides Sun, sea and awesome surf lessons there’s plenty more to enjoy, yoga sessions, aerial yoga lessons, horse riding, SUP, wine tasting, Trips to S|intra, Obidos or Lisbon & if music, surf or major events are happening around us we sure make our way there. 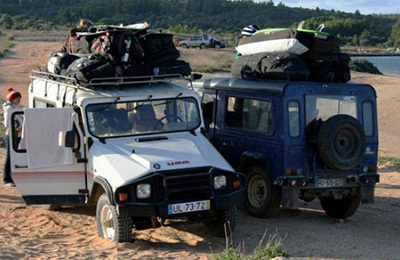 Algarve Kitesurf, Surf, Windsurf and Wakeboard Camp - Lagos, Algarve Guests overall rating: ★★★★★ 5 based on 3 reviews. Caparica Surf House - Lisbon, Costa Caparica Guests overall rating: ★★★★★ 5 based on 3 reviews. 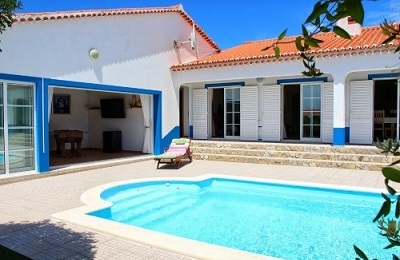 Surf house is located in the village of Costa da Caparica, 100 m from the beach. Sits in a quiet neighborhood away from the weekend and summer traffic and 200 meters distant from the main surf spots. ERICEIRA Surf Resort - Praia Do Sul, Ericeira Guests overall rating: ★★★★★ 4.8 based on 6 reviews. Right on the cliff overlooking the awesome beach of Ericeira and at just a few steps away from the center of the amazing Ericeira Village. Ericeira Surf Resort is just about the most perfect place for your surfing holiday that you could imagine. 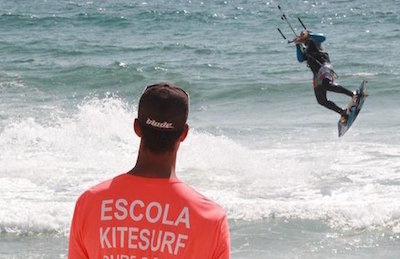 Costa da Caparica Kitesurf Camp - Almada, Lisbon Guests overall rating: ★★★★★ 5 based on 2 reviews. Oporto Skate & Surf Camp - Oporto, Oporto Guests overall rating: ★★★★★ 4.8 based on 5 reviews. 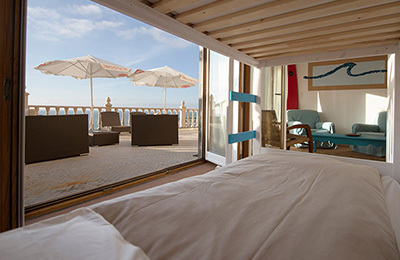 OPORTO Accommodation, School, Surfaris & Surf Camp - Ezmoriz, Porto Guests overall rating: ★★★★★ 5 based on 5 reviews. With more than 20 km of surrounding beaches, Oporto Surf Camp has the right conditions for all levels of surfing! From the beach breaks for beginners.. to uncrowded reef breaks for advanced surfers looking for surfaris! 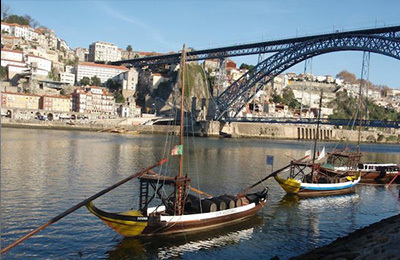 Enjoy the surf in Portugal in Esmoriz and do not forget the Oporto city tour! PENICHE Surf School, Shaping Workshop & Surf Camp - Leiria, Peniche Guests overall rating: ★★★★★ 5 based on 3 reviews. We are powered by Ripcurl, walk to the waves for all levels, from the power of Super Tubos to the gentle waves of Baleal. Great professionals to assist you, your smile is our goal! For better surf, all services available: rooms, restaurant, bar, terrace and board room. Tours and transfers available, fast, safe and comfortable. Surf all day, party all night! CAN YOU HANDLE IT? 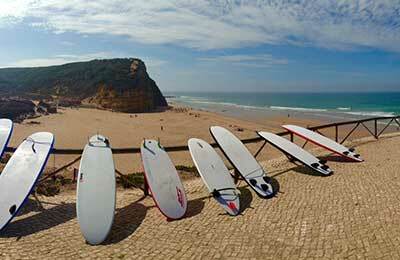 Ericeira South Beach Surf Camp - Ericeira, Lisbon Guests overall rating: ★★★★★ 5 based on 1 reviews. 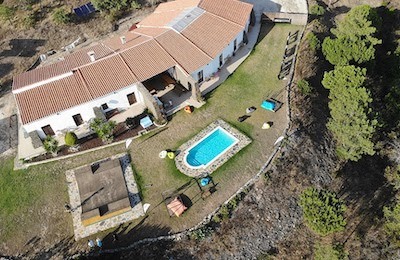 The surf-camp villa is located at the south end of the center of Ericeira. You can choose between dorm, twins, triple, quadriple rooms, a down town house or even beach apartments. It takes you under 5 minutes walk to the South beach were you can relax, have fun and practice activities as surf, wind surf, body board, yoga and after beach 15 minutes away good restaurants, markets and parties! 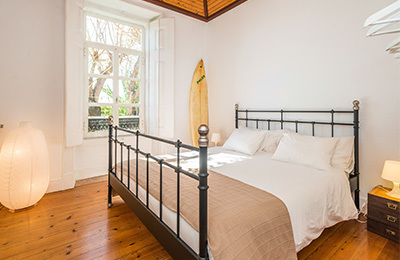 Lisbon Surf House - Cascais, Lisbon Guests overall rating: ★★★★★ 5 based on 3 reviews. 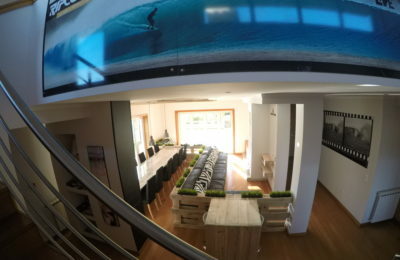 A typical Portuguese summer house converted into a surf house overlooking the Ocean. We offer the most privileged surf accommodation plus a great team of professional and certified instructors who will make sure you´ll learn how to surf in a safe and fun environment.